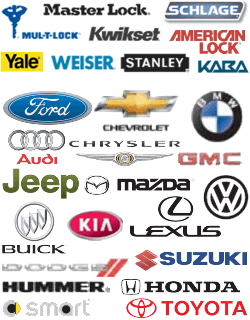 We are your most trusted automotive locksmith company serving drivers in and around the Pflugerville area. And we are your local experts for ignition switch repairs for all makes and models of vehicles. As dedicated technicians, we design efficient schedules so that locals can get rapid services when they need them. During every job, we produce professional results because we’re highly trained and licensed. We’re also bonded and insured, so you won’t be at risk if you use our services. Over time, an ignition switch will begin to wear out or jam. These issues happen because of a variety of reasons such as regular wear and tear or dirt and grime getting stuck in the ignition. As highly skilled locksmith specialists, we know how to service failing ignition switches strategically without causing any damages. Also, since we have access to specialized tools, we’re able to handle just about any situation that may cause a switch fail. In some cases, an ignition switch won’t function if a key is bent, scratched or worn out in any way. Each time a key is placed in an ignition, a thin layer of the metal material on the grooves will wear away. Once the key loses its original design scheme, an ignition switch will no longer start a vehicle. Our specialists also fix ignitions that are specifically designed for commercial automobiles. We fully understand that ignition problems can slow down a commercial driver’s sales, which is why our emergency locksmiths provide prompt services 24/7. When a car starts and stalls after the ignition is used, our services may be needed. A typical switch fails in this situation because it’s only providing power to the engine for a limited length of time. If a vehicle won’t start, the lock cylinder within the ignition isn’t in good condition. This cylinder is usually attached to an electronic ignition switch, and any car that has a faulty cylinder won’t function until professional repair procedures are implemented. In some cases, a key may not glide into an ignition effortlessly. When this happens, you shouldn’t try to wiggle the key into the cylinder, as aggressive movements could seriously damage the ignition. Usage issues generally develop in this manner over time after a key is constantly shifted, turned, and removed. Our 24-hour locksmith company has built a solid reputation by providing dependable services to drivers. When we service ignitions in the field, high-tech equipment is always used to ensure professional, precise results. If you’d like to correct a problem that’s affecting your ignition switch, we can help. Request our ignition switch services and get immediate assistance or to schedule an appointment for locksmith services in Pflugerville Texas. Be sure to check out the Streets Division webpage to stay up to date with the latest public works projects in the area that may affect your commute. 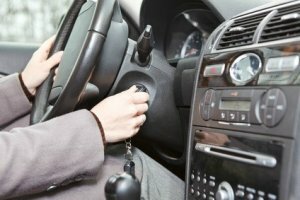 Ignition Switch Repair https://pflugerville-locksmith.co/automotive/ignition-switch-repair/ 4.0/5 based upon 23 reviews.